7-Eleven gives consumers more fun and joy everytime they visit the leading convenience store chain with the CLIQQ mobile app. Rebranding its Every Day! Rewards Card to CLiQQ, 7-Eleven takes its loyalty program to a whole new level by offering more exciting rewards for customers through the mobile app. 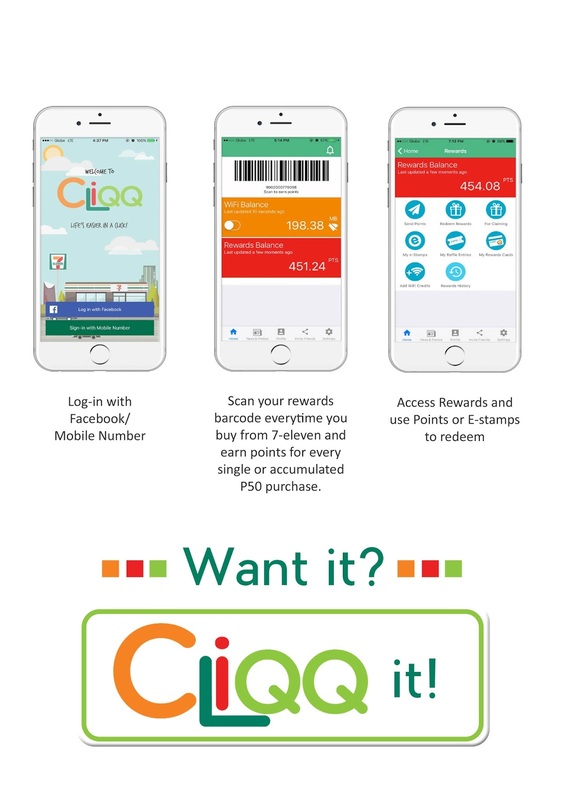 By downloading CLiQQ from Google Play or App Store to their mobile phones, customers access all its features at any 7-Eleven store they visit. Using CLiQQ and enjoying its benefits is easy and gratifying. 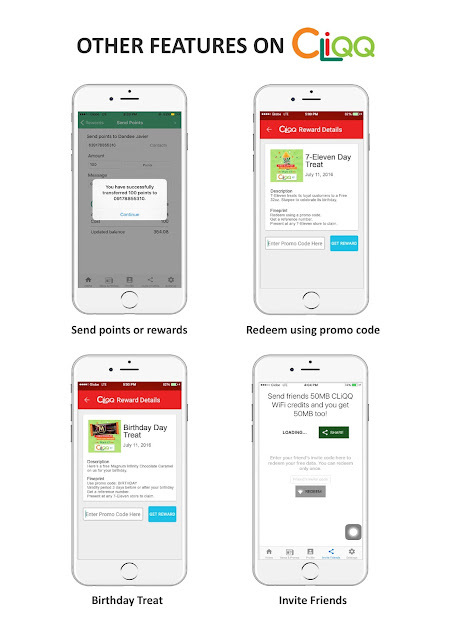 The app includes a loyalty barcode that lets 7-Eleven customers earn points every time they make purchases worth P50 or more. These points can then be used to redeem items from the CLiQQ Rewards Catalog, which includes a wide array of products. Customers can even share their points with friends, letting them have their pick of rewards as well. Everyone is up for a treat - a free 32oz. Slurpee! In the CLiQQ app, go to the Redeem Rewards tab and choose, 7-Eleven Day Treat. Enter the Promo Code: HBD711 to avail of the reward (free item). Go to any 7-Eleven branch and laim your 32oz. Slurpee absolutely for FREE! 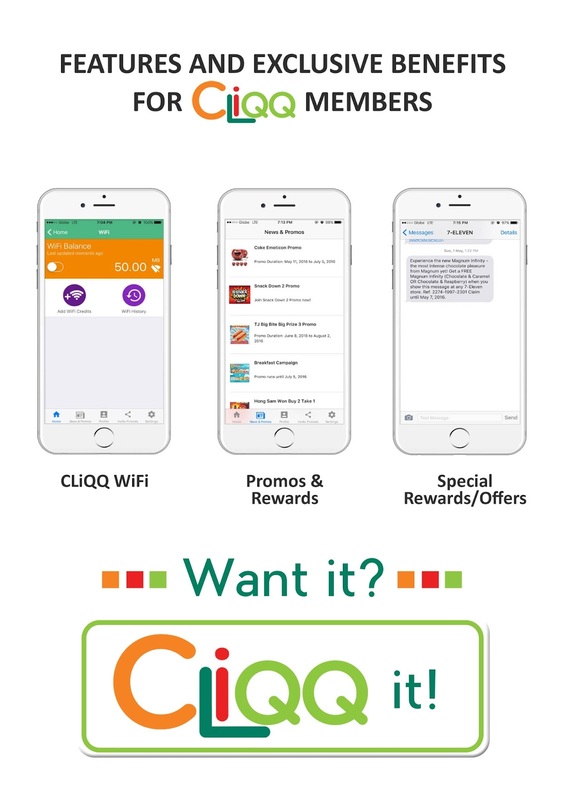 The CLiQQ mobile app also enables customers to know more about 7-Eleven’s latest promos and offers via the News & Promos tab. They can also share suggestions and comments about the app using the Send Feedback menu. CLiQQ Wifi ZoneCustomers can also stay connected with the CLiQQ app. Now that all 7-Eleven stores are CLiQQ WiFi Zones, customers can easily access the internet by using the app’s WiFi feature and connecting to the hotspot. Once signed in, customers get 70MB of free data, and can use their points to top up their allocation. Plus, 7-Eleven stores feature CLiQQ Kiosks where customers can buy load and e-pins, pay bills and add cash to e-money accounts.